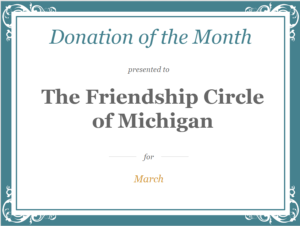 March’s Donation of the Month goes to the Friendship Circle of Michigan. They serve the special needs community in Michigan and beyond. Wait a minute, Goldsmith! You’re from New York and live in Virginia. What gives? The Great Bike Giveaway. That’s what. 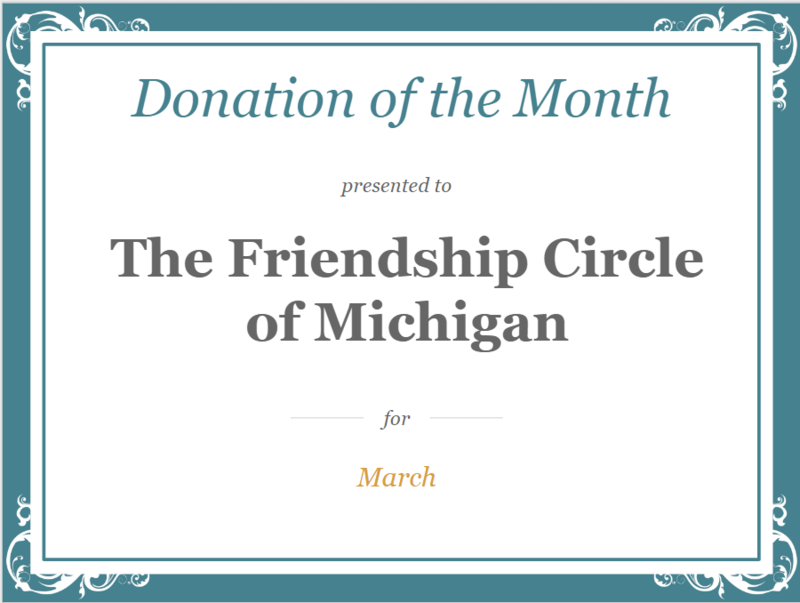 In February and March, the Friendship Circle of Michigan launches an amazing peer-to-peer fundraising campaign. 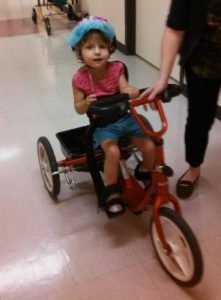 Individuals can register to win a bike tailored to those with special needs. They then fundraise. The more money that’s raised, the more bikes the organization can buy. The more bikes the organization can buy, the more chances you have of winning a bike. A bike for a typical child may set you back a few hundred bucks. But for a special needs child, it’s in the thousands. Some models cost over $10,000. I know. I shopped for one. Then, in 2015, I registered my daughter for the Great Bike Giveaway. And she won a bike! Now, she’s racking up those miles (when there isn’t snow on the ground, of course). Today is the last day of the giveaway. But you can continue to donate. While you’re there, check out the awesome use of a hero space video. Or, if you’d prefer, you can give directly to the Friendship Circle. The Friendship Circle of Michigan: For putting together an inspiring peer-to-peer fundraising campaign, you get the Goldsmith Interactive donation of the month.